The ever-popular triangular shapes works brilliantly for both dresses, tops and between the lapels of a jackets or tux. In this instance the design is inspired by the Deco sets of yesteryear - pieces worn by the famous Hollywood starlets, such as Marilyn Monroe and Rita Hayworth. 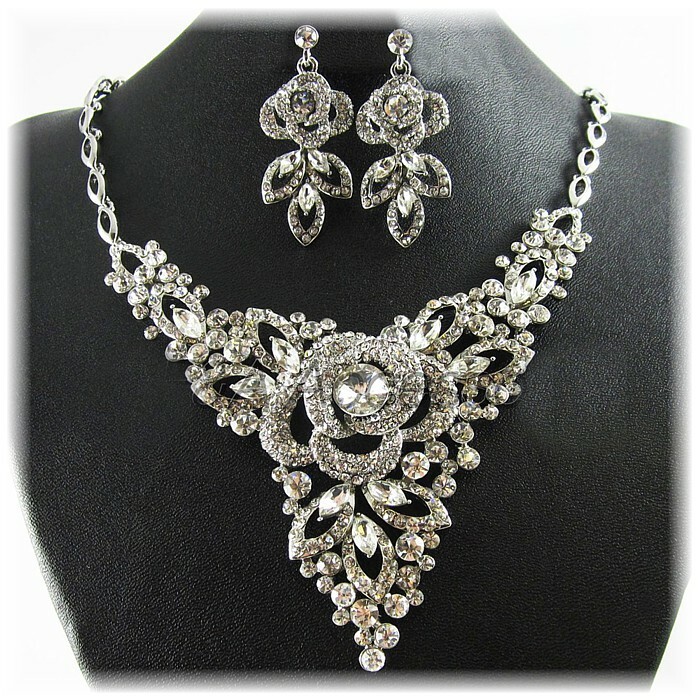 Shimmering marquise shapes feature large and the 3D centrepiece design - echoed in the earrings - can be viewed as geometric shapes, or a flower. Silver-plating with genuine crystals. Sizes: 41cm/16" extension 6cm (2¼").